Welcome to KickForce Martial Arts! We are always striving to provide our students with the best martial arts training. 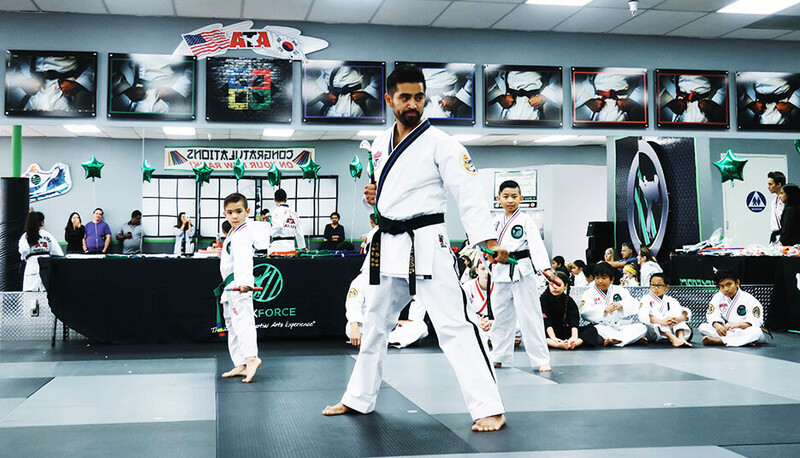 From as young as 3 years old, KickForce Martial Arts will be sure to give you the training you deserve and take your martial arts to the next level. Each day our students step foot into our facility and learn the meaning and importance of life skills while physically training their bodies. No lions, tigers, bears, or white dragons to represent us. YOU represent us. KickForce is about you. We will bring the best out of you, provide you with the top-of-the-line martial arts training, and be sure to change your life. We offer programs for the entire family, so you and your child can all enjoy the journey together! Our Mira Mesa studio is conveniently located off of the 15 freeway and the Clairemont location is centered between the 805 and 163. Whether you're nearby in Scripps Ranch, Poway, or Tierrasanta, or as far as Escondido or Chula Vista, our two locations make it easy to come in from all over San Diego County!